This brochure containing maps and information for all of Lake Metroparks properties won “Best Publication in the State” by the Ohio Parks & Recreation Association in 2006. 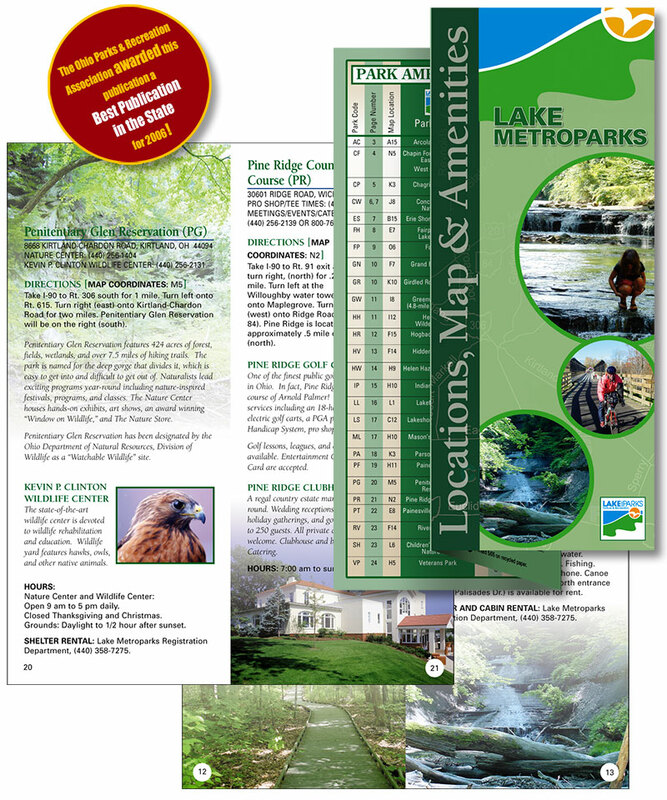 In 2008 Lake Metroparks brought all of their communications design in-house for budget reasons. But the work I did for them over about a 12 year span still remains some of my favorite. I have nothing but fond memories and gratitude for Lake Metroparks. A bit of trivia: When I was 15, I worked for the final installment of the YCC (Youth Conservation Corp.) that helped build Penitentiary Glen of Lake Metroparks.